At USC Upstate, librarians collaborate with classroom faculty in a number of ways to provide information literacy instruction to our students. We have a First-Year Information Literacy Program for our students enrolled in University 101, English 101 and English 102. For other courses, collaboration may take the form of one or more formal library instruction sessions in one of our library computer labs or a smart classroom elsewhere on campus, at the University Center in Greenville, or through closed-circuit television or streaming video via the Internet for distance education classes. We also provide "short sessions" on a single resource or topic, librarian-assisted research periods in the library or your classroom, plagiarism prevention awareness, online course support, assistance with designing library-related assignments and handouts or library guides for specific resources or topics, and instruction in less formal settings: one-on-one conferences in our offices, at the reference desk, and through our Library Guides and web-based Tutorials. Full-Period Library Instruction Sessions - Taught in one of our computer labs, our full-period instruction sessions focus on research skills and resources pertaining to a class assignment. The librarian will consult with you about the goals of the session. In many sessions, students are given some time to practice the skills taught and to begin looking for sources. If you teach in a smart classroom or have more than 36 students, the librarian may be able to teach the session in your classroom. Partial Period - Ever want a librarian to show just one or two resources and not take an entire period? A librarian can visit your classroom if you have an Internet connection and give a brief demonstration. Or present any other library research-related topic you may ask for! Librarian-Assisted Work Period - Sometimes you need less instruction about using library resources and more guidance for students as they actually try and find sources. A librarian-assisted work period may be for you! The librarian will give little or no formal instruction, but will work with you in helping students find the sources they need, giving individual attention where required. Librarian-Assisted Work Periods may be used on their own or as a follow-up to a full-period instruction session. Online Course Support - Just becacuse your course is online doesn't mean that you have to forego library instruction support! We have librarians certified to teach online, and we are ready to assist you, providing dynamic Library Guides pulling together library resources and instructional videos, collaborating with you in designing online research assignments or course modules, or participating in online blogs and discussion lists! Research Consultation - Another alternative to the traditional full-period library session, especially if many of your students have had several library sessions, is to require an individual research consultation. Plan carefully with your liaison librarian to determine how best to prepare students for a research consultation. The USC Upstate Library Instruction Program supports the educational mission of the USC Upstate Library by teaching information literacy concepts and skills that facilitate proficiency in the research process and enhance critical thinking. By preparing students to be proficient in these areas, the program also supports the University’s metropolitan mission. Information literacy concepts and skills are necessary for our graduates to participate effectively as responsible citizens in a diverse, global, and knowledge-based society, to pursue excellence in their chosen careers and to continue learning throughout life. The USC Upstate Library Instruction Program assists USC Upstate students in acquiring and developing information literacy—a core competency that achieves mastery of the research and critical-thinking concepts and skills needed to find, retrieve, analyze, evaluate, and use information effectively, efficiently, and ethically. The Library Instruction Program collaborates with classroom faculty and staff as essential partners in teaching information literacy, targets courses and programs for instruction and support to ensure that information literacy is integrated into the curriculum, and generally promotes information literacy throughout the university community. 1. Facilitates student learning of research skills and processes in order to successfully complete coursework and achieve academic success. 2. Targets courses and academic programs for library instruction and support in order to integrate information literacy throughout the curriculum. 3. Collaborates with faculty and staff university-wide in order to ensure a comprehensive and timely approach to teaching information literacy and research skills. 4. Promotes information literacy university wide in order to encourage collaboration and gain recognition for information literacy as a core competency. 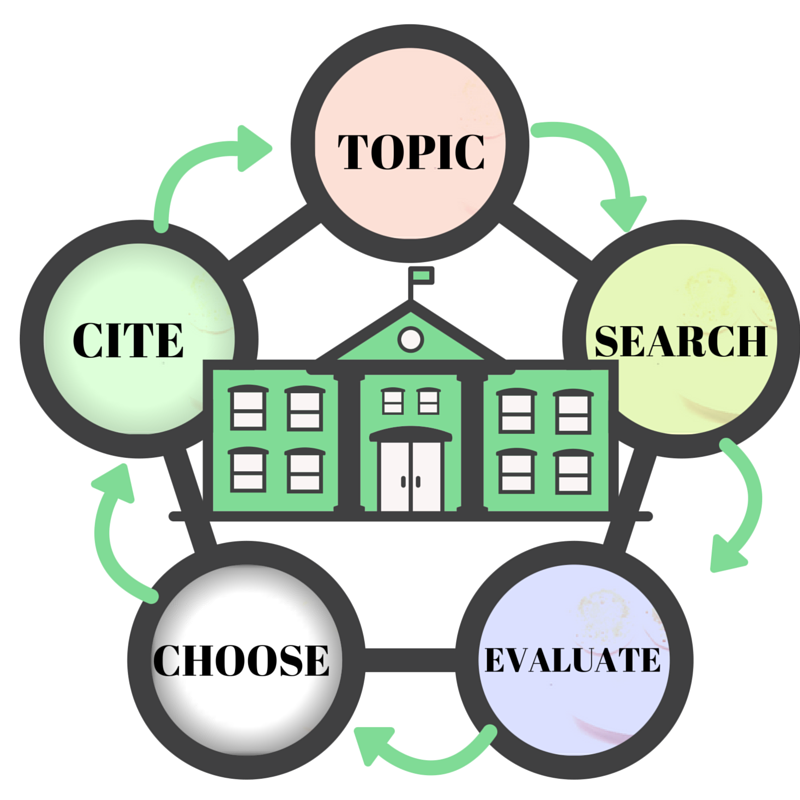 Information literacy is a way of defining, thinking about, and teaching the research process. Put simply, information literacy involves not only research skills, but also problem-solving and critical thinking. Teaching and learning information literacy is a collaborative effort among classroom faculty, librarians, educational support staff, administrators, and students. In 2000, the Association of College and Research Libraries (ACRL), the academic library arm of the American Library Association, published the Information Literacy Competency Standards for Higher Education. This document provides a detailed model of the research process organized by five standards, each with performance indicators and learning outcomes. In 2015, ACRL released the Framework for Information Literacy for Higher Education, which presents an alternate conceptualization of information literacy based on threshold concepts. Is the session timely for students? Schedule the session at a time when it will most benefit your students, usually when they are actively working on an assignment. Focus on an assignment. Students will get more out of a session if they need to find sources or develop skills in relation to a specific course assignment. Plan to be an active participant. It is a policy of the library instruction program that classroom faculty are present at and participate in their sessions. It is often the interaction of librarians and classroom faculty that leads to meaningful learning. Your presence also shows students the importance with which you regard the session. To schedule a library instruction session, contact John Siegel, Coordinator of Information Literacy, or look under the Library Instruction Liaisons tab to find your subject liaison. This Module was created by USC Upstate Librarians to help students learn about plagiarism and how to avoid it. We encourage faculty to assign the module to students near the beginning of the semester. Linked to the Library Home Page, videos include series on Find a Book and Find an Article and searching more effectively.